Home>Music> Reginae Carter Pleads For People To Do Better: "Nobody Supports One Another"
It's been 24 hours since the hip hop world and beyond learned that community leader, activist, and rapper Ermias "Nipsey Hussle" Asghedom was shot and killed in the neighborhood he uplifted and protected. 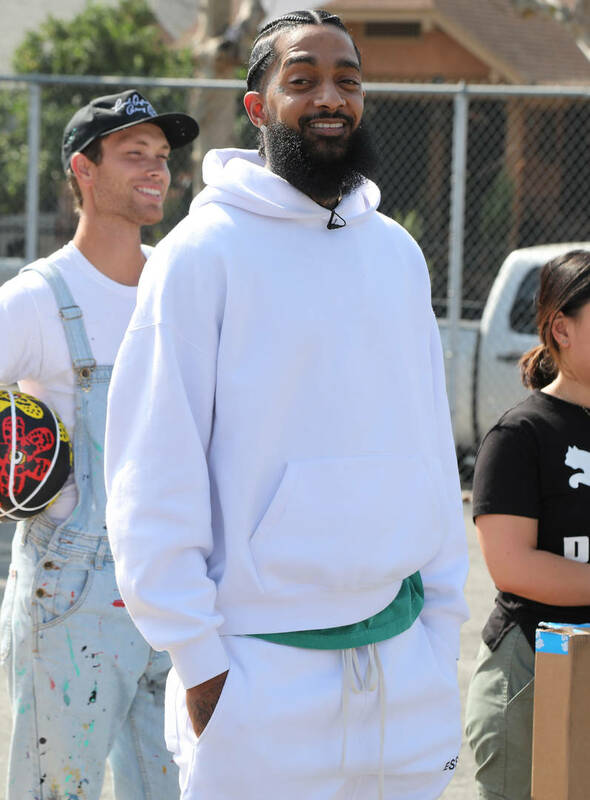 Nipsey's celebrity friends have posted moving tributes and fans have honored the 33-year-old's legacy throughout social media. Nipsey's death has prompted a dialogue about gun violence and the street life, and joining the conversation is Reginae Carter who took to Instagram to share her thoughts on how this generation needs to change for the ones that follow. "The world is getting scary! Too much killing, clout chasing is at it's finest, and don't nobody want to support one another. Honestly, my heart can't take it. We gotta change, y'all. It starts with this generation. You guys gotta start raising your kids how you want the next generation to be like. Teach them unity, respect, and how to love. Make sure you tell your loved ones you love them every chance you get because you never know when it will be your last." "I understand social media has a lot to do with what's going on in the world," Carter continued. "Understand this [though]...you don't have to fake it to kick it, you don't have to put someone else down to stand up, and you definitely don't have to take someone else's life because you are not happy with yours. When people start realizing this, life would be better." Meanwhile, Nipsey's Marathon store, the location where he was shot and killed, has become a shrine for the late rapper. Fans continue to mourn outside of the shop and have placed candles, cards, and keepsakes in Nipsey's honor. It's reported that police believe that Nipsey was killed by someone he was familiar with over a "deal gone wrong," contrary to initial claims that the rapper's death was "gang-related." MUSIC Reginae Carter Pleads For People To Do Better: "Nobody Supports One Another"